Age 45, of Waipahu, HI, passed away February 17, 2017 in Ewa Beach. 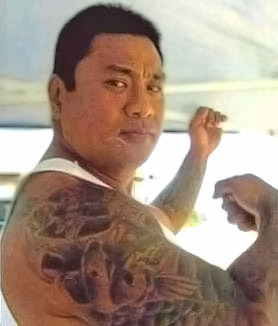 Born July 8, 1971 in Honolulu, HI. CEO of Treazure Bullyz, a member of New Hope, Leeward and member of the VW Club. Previously worked as a journeyman electrician. He is survived by wife, Raylynn Vallesteros; daughter, Mailani Ahsing; sons, Jensen Vallesteros, Jaydon Vallesteros, Jordan Vallesteros; 3 granddaughters; 1 grandson; step-daughters, Debory Vistante, Raylissa Vistante, Rayzohn Vistante; step-sons; Johnavan Vistante, Josiah Vistante, Jonah Vistante, Jaycobi Vistante, Deizel Vistante; parents, Teodoro A. & Ofelia C. Vallesteros; sister, Jennifer V. Cacal; brothers, Guillermo C. Vallesteros, Rosario C. Vallesteros. Visitation 5:30 p.m. Wednesday (April 5) at Mililani Mortuary Mauka Chapel; wake service 6:30 pm. Visitation also 9:00 a.m. Thursday (April 6) at St. Joseph Church (94-675 Farrington Hwy., Waipahu); mass 11:00 a.m. Burial to follow 1:30 p.m. at Mililani Memorial Park. Flowers welcome.